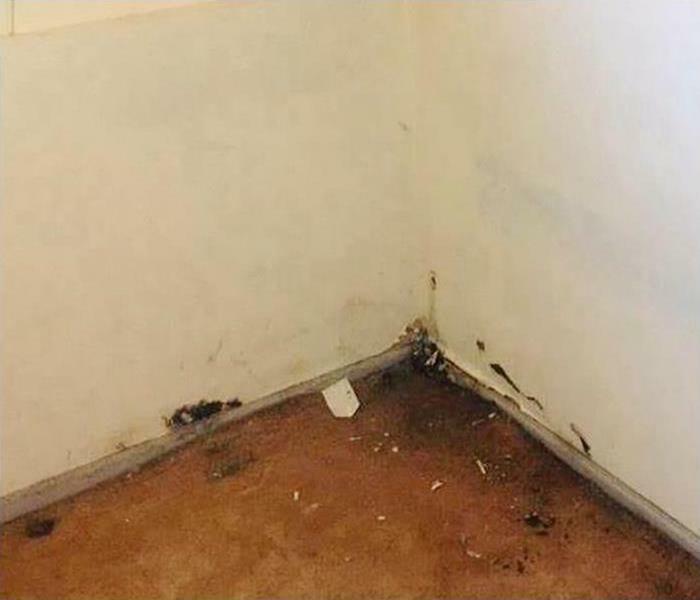 Homes with fire damage often also have water damage because of the water used to put the fires out. 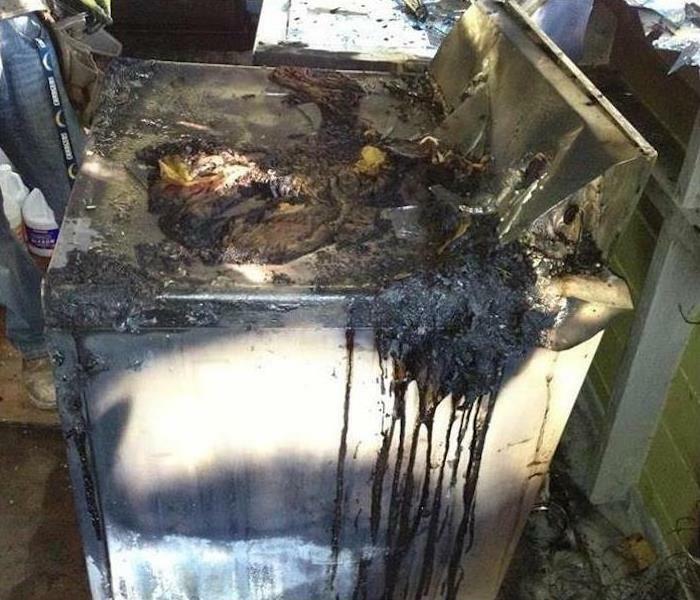 That's exactly what happened at this home, but our technicians were able to mitigate the damage and clean up the home. 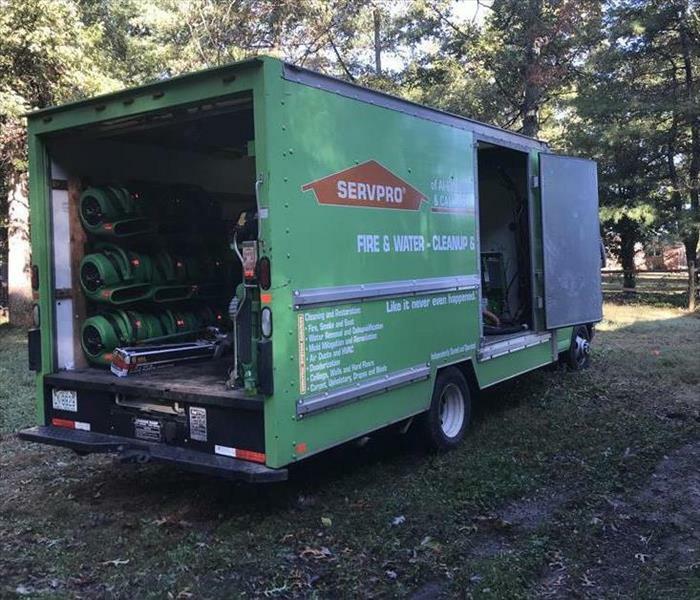 When Hurricane Florence slammed the coast of North Carolina, SERVPRO of Alexander & Caldwell Counties sent a team to assist with the disaster restoration. Pictured, our team gathers for the daily meeting to review the next steps. 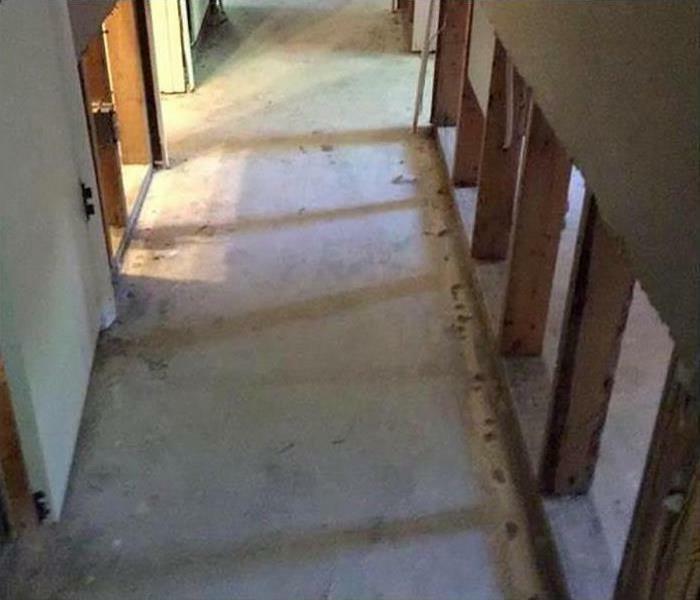 It's important to us that when we visit any home or business in the Lenoir or Taylorsville areas, our customers put their full trust in us to make their property's damage "Like it never even happened." 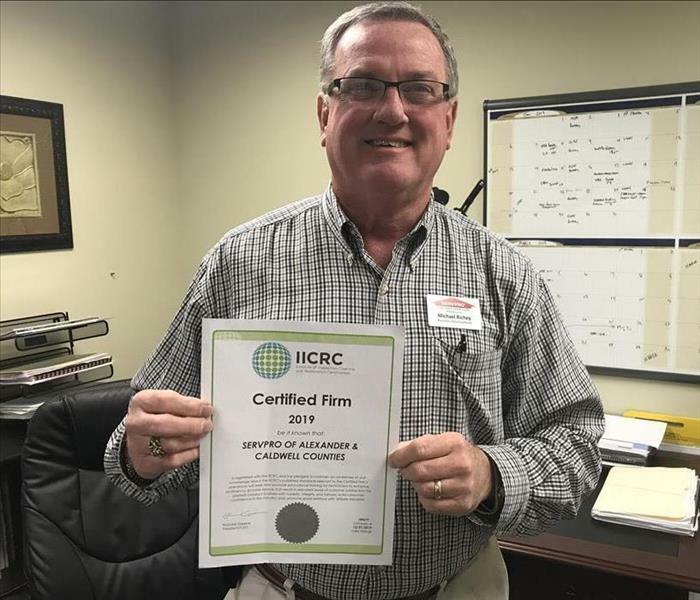 That's why we make sure that we are certified by the IICRC, which is the organization that sets the standards for disaster restoration services! During the winter weather, we had a lot of calls from customers who had burst water pipes. Pictured above, our crew promptly got to work when a local medical office was affected by water damage. 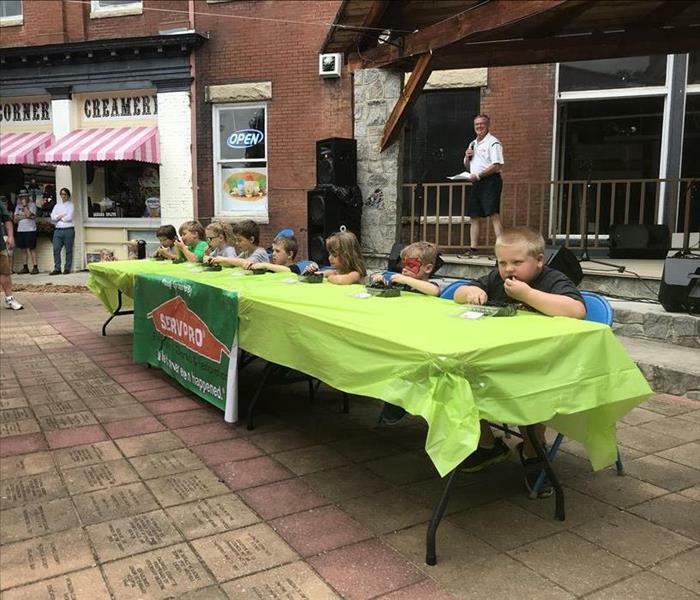 Each year, SERVPRO of Alexander & Caldwell Counties hosts the Blackberry Eating Contest at the annual Blackberry Festival in Lenoir, NC. In the photo above, Marketing Representative Michael Richey congratulates the winner from the adult division! In the above photo, the winner of the Blackberry Eating Contest's teen division celebrates! SERVPRO of Alexander & Caldwell Counties is a proud sponsor of the Blackberry Festival each year. 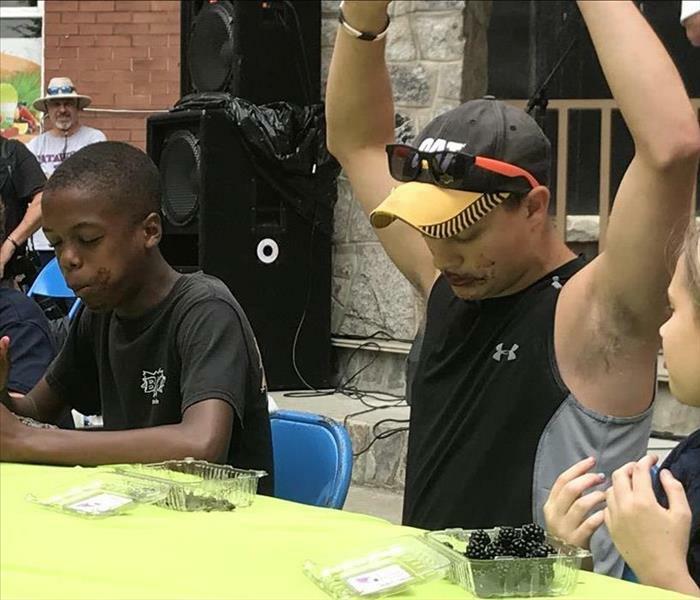 We are proud, annual sponsors of the Blackberry Eating Contest at the Blackberry Festival in Lenoir, NC. In the photo above, the contestants from the kid division dig into a pint of blackberries! 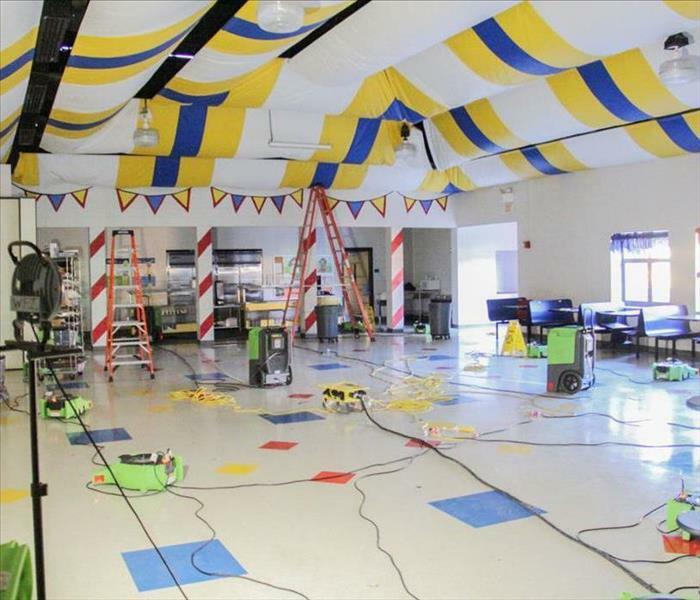 When a tornado tore through the area towards the end of 2017, one local school had its gym roof torn off and significant water damage in other parts of the school. Our team set up equipment throughout the affected rooms to dry out the water. School was back in session after only a couple of days. 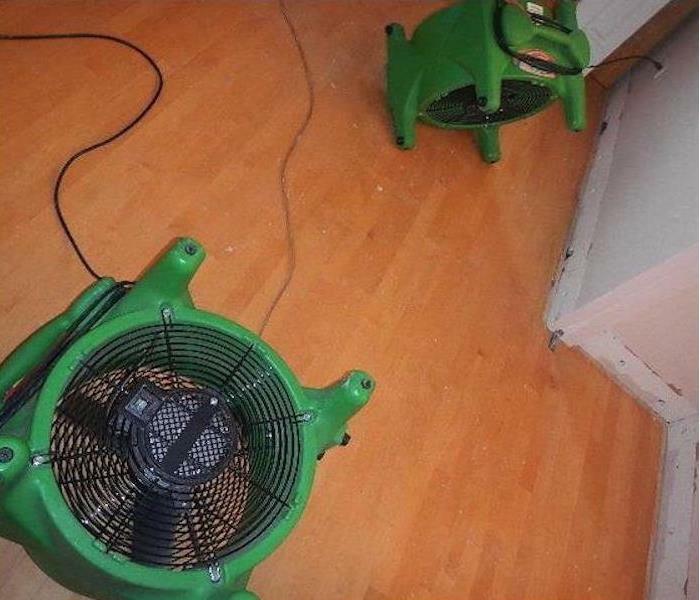 When your home or business suffers from water damage, our team will arrive with a few of our green air movers! We strategically place them to increase air circulation and dry affected areas. We have a few other tools we use to make it "Like it never even happened." We love to be apart of helping our community. 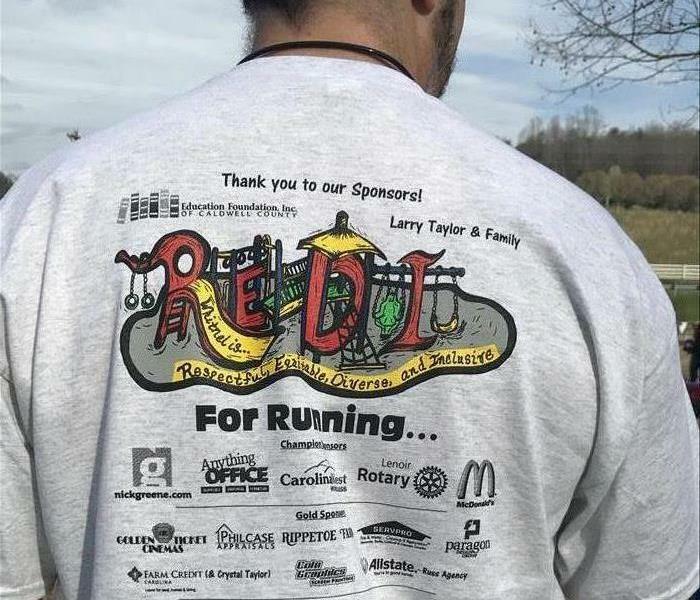 We helped fundraise and sponsor a race at a local elementary school so they could raise money for a new playground! Above, marketing rep. Eric Hershberger shows off his event t-shirt! A few of our employees went out of state to receive additional training so we can better serve our customers! 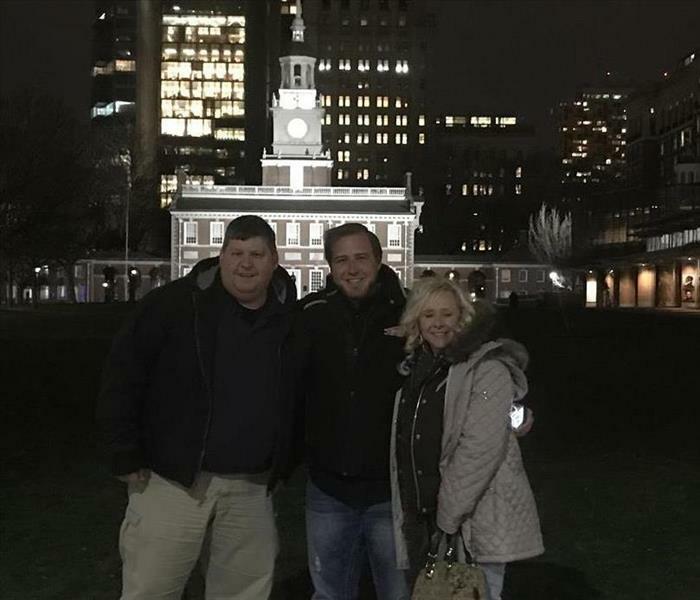 Before they came back, they spent some time at historical locations in Philadelphia! When a major fire damaged parts of a nearby college, our large loss team was called in. Pictured above is where the fire started. In just a few months, the school was back to normal and it looked "Like it never even happened." A customer called us about mold that ravaged the basement of his home. A team of our SERVPRO heroes arrived in their signature green truck to make it "Like it never even happened." We got a call from a potential client about a tree that had fallen on their house during a tornado. Our team came out to inspect, but the homeowner fortunately got away with only some minor cosmetic damage. 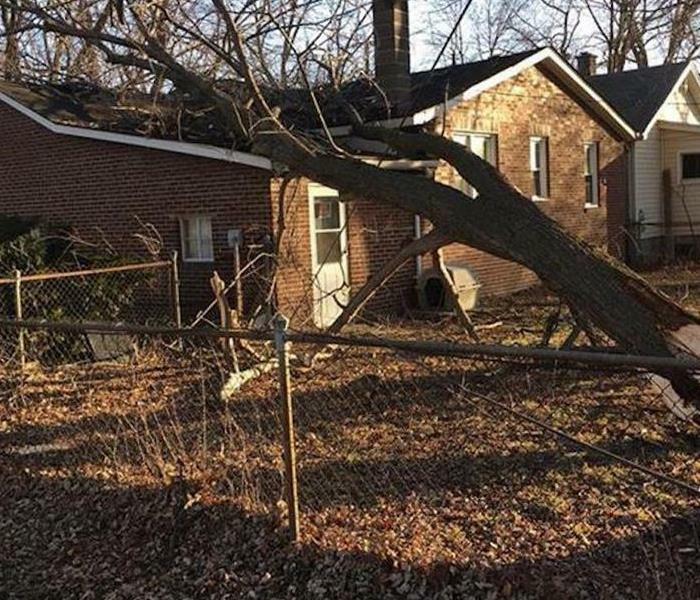 If the tree had damaged their home, we would have made it "Like it never even happened." 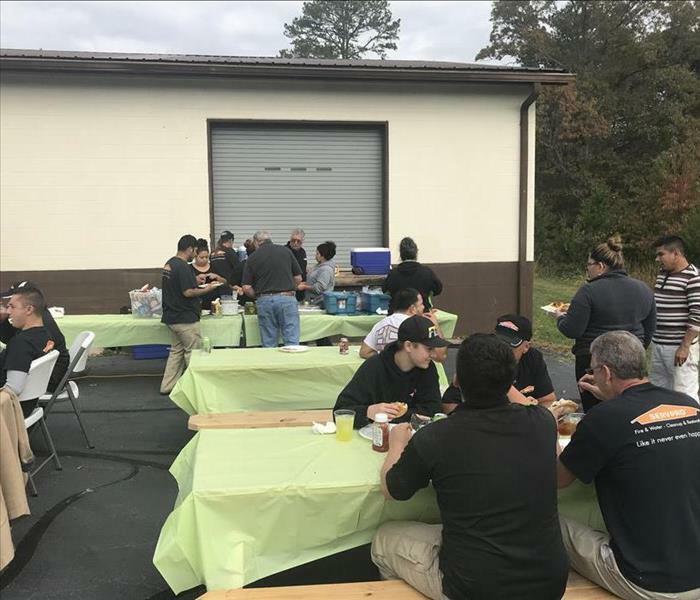 We like to tell our employees how much their efforts mean to us, so we held an employee appreciation lunch in front of one of our warehouses. All of our employees got to take a break and eat some food from the grill! The mold growth shown in this Taylorsville home resulted from condensation within the apron holding the a/c duct work. 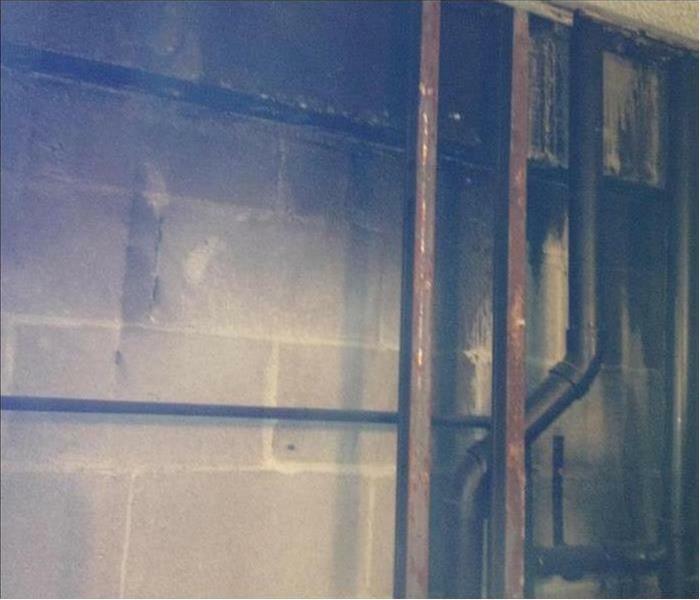 Extensive clean up by SERVPRO techs can resolve this problem and restore the structure to its preloss condition. Fire damage in Lenoir commercial or residential properties can leave behind unwanted smoke odors after the fire has been extinguished. 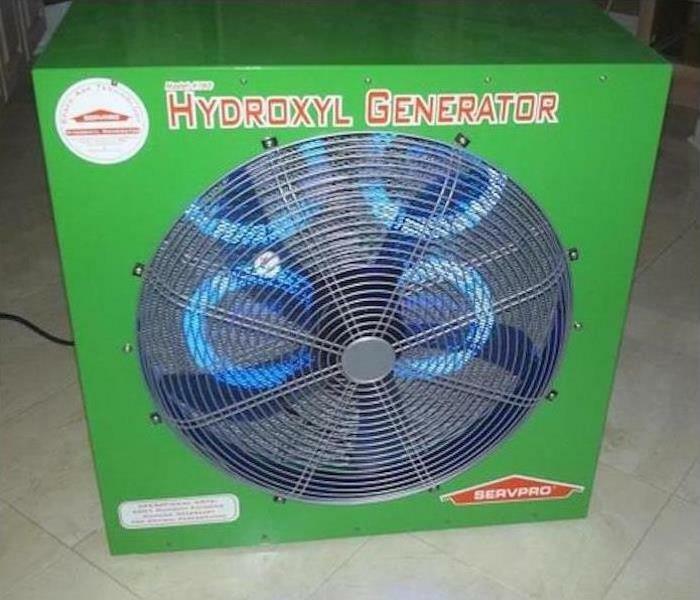 Hydroxyl generators like the one in this photo can be used to eliminate the odors. The occupants of the property can remain in the structure since no ozone is used. 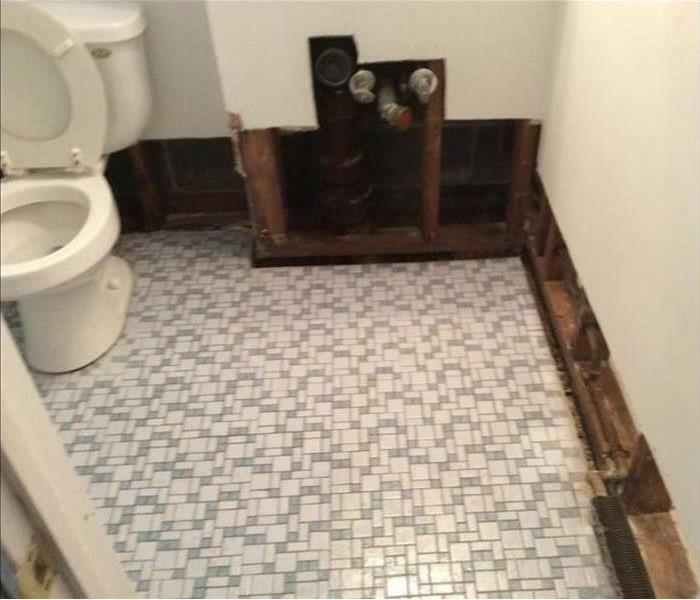 When it comes to dealing with storm damage, you need professionals that use specialized equipment and techniques. We provide 24-hour emergency service so we can respond immediately after a storm has occurred. Contact the experts at SERVPRO of Alexander & Caldwell Counties today for help! The back storage area of this commercial warehouse in Taylorsville sustained a small, sooty fire from some poorly placed rags and cleaning products. SERVPRO technicians used dry ice pellets, under pressure, to chafe the carbonized residue on the block walls and the 2x4's. A quick thermal fogging and it was "Like it never even happened." Mold damage at this Lenoir home became evident when the edge of one tile appeared to have mold on it. The homeowner did the right thing and contacted a professional to assess the mold damage. Using hi-tech moisture detection devices we were able to determine that there was much more mold hidden behind the tile. We were able to create a plan for remediation with the help of the hi-tech instruments. Fortunately, this insurance office in Taylorsville had adequate coverage to pay for the water removal and restoration required in its office. 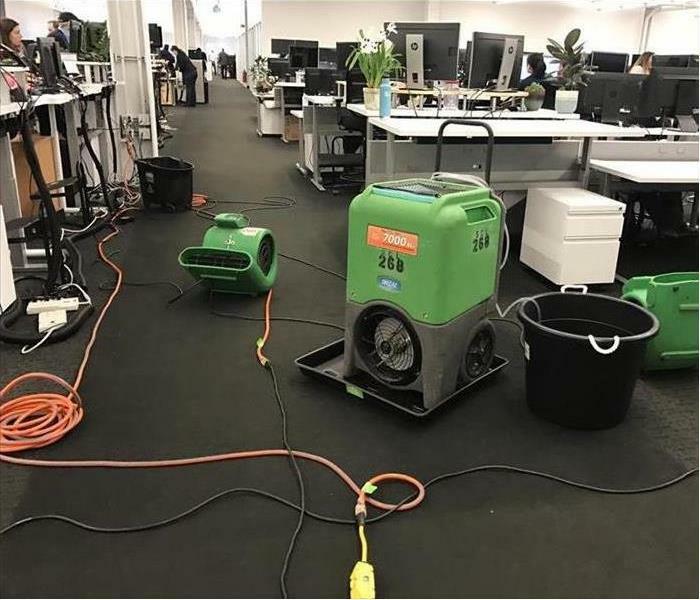 SERVPRO techs removed the saturated carpet, removed the water and seen are several drying devices to capture the remaining water vapor from the air. 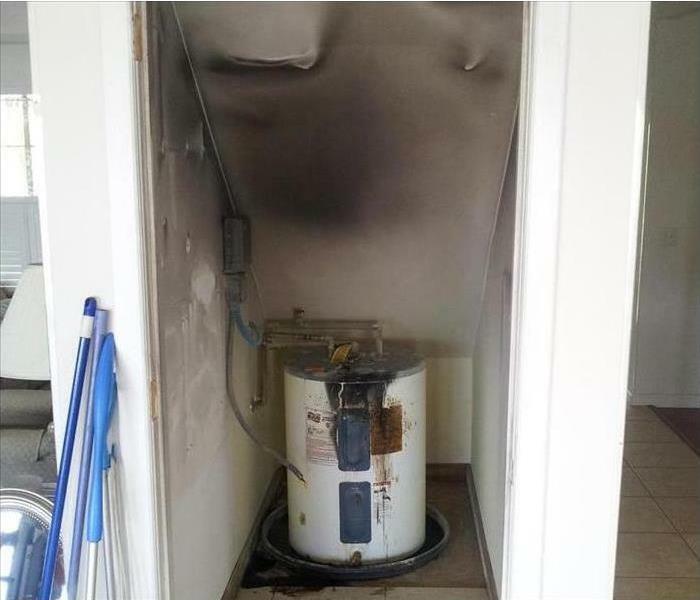 Fire damage at this Taylorsville home was caused by an electrical fire on the water heater. The photo shows all the smoke and soot damage that the fire caused. We cleaned up the soot and treated the smoke odor that the owner never thought would go away. They were quite happy with the results. 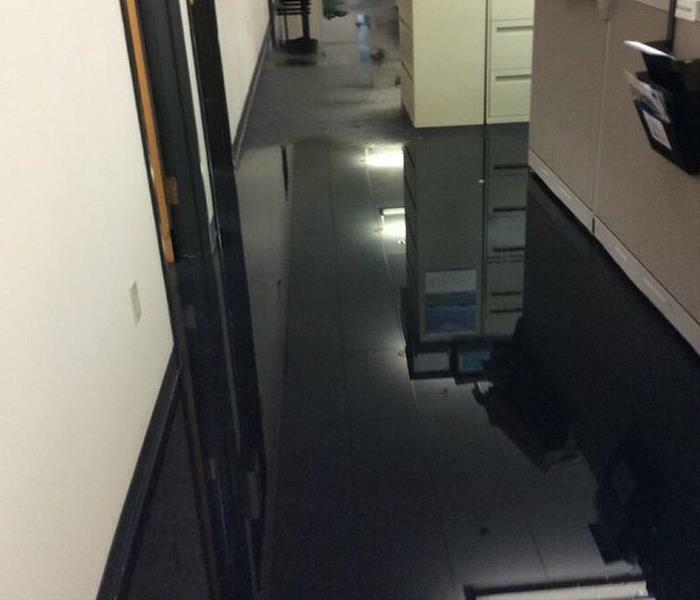 A broken water line wetted a portion of the commercial carpet in the Taylorsville office environment. Wet-vacs and special hand wands suctioned off the small amount of standing water. SERVPRO techs can then remove the lingering moisture with air movers and dehumidifiers. We skillfully work around the office staff and removed the equipment the following morning before the start of business. Storm damage in Lenoir and the surrounding areas could have large loss disasters. 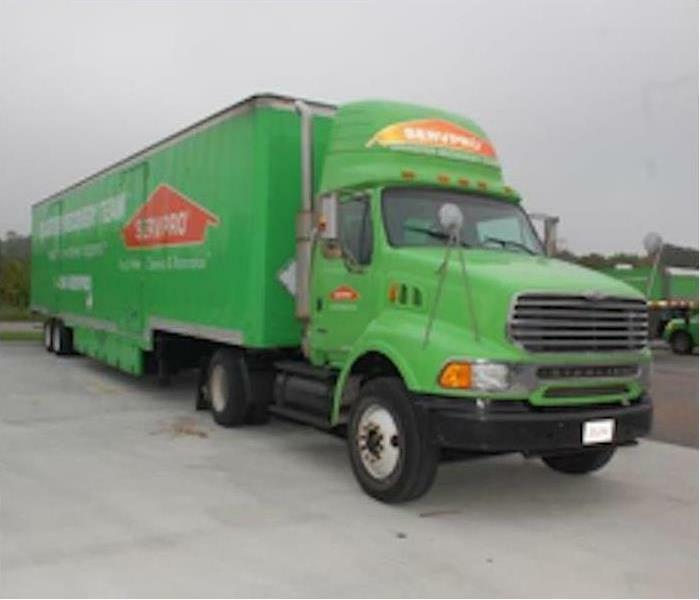 When large loss disasters take place, SERVPRO has tractor-trailers equipped and prepared to respond on a moments notice. 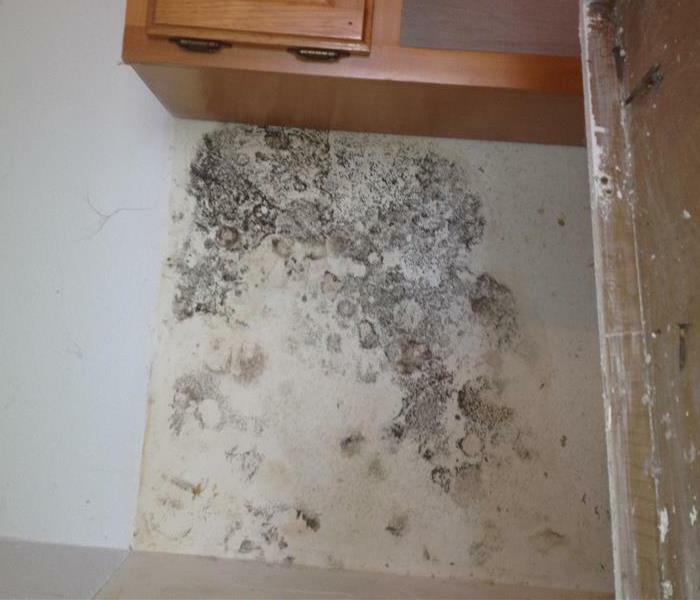 Mold damage at this Taylorsville home was brought on by excess moisture. Drying building materials and the air in the affected area is aided by the use of commercial air movers as pictured in this photo. The old cast iron supply line cracked and deposited a large amount of water on the tile flooring that also saturated the lower level of the drywall walls. The removal of the non-salvageable paneling was required before the drying service could begin. 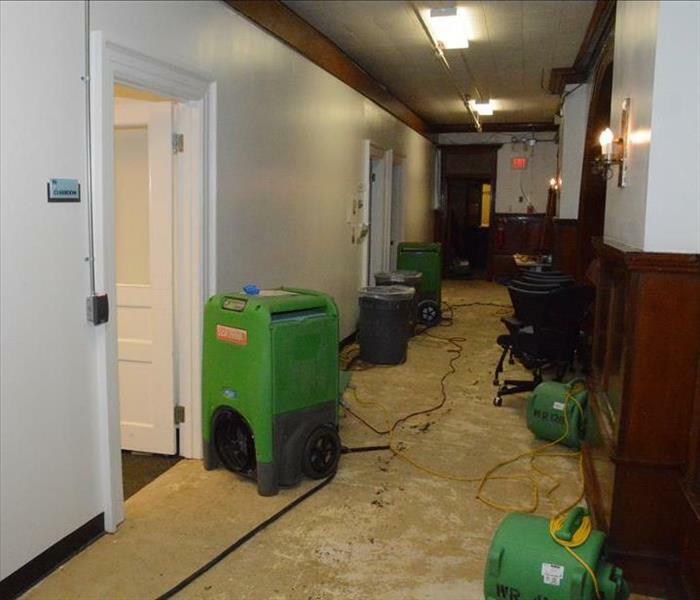 Commercial water damage to this Lenoir Municipal building was caused by a broken water line in between the walls that fed a water fountain. 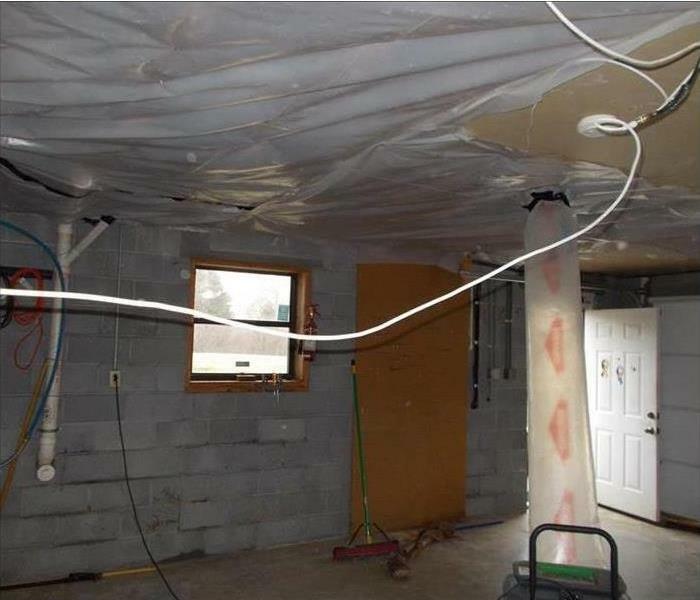 As you can see in the photo, it caused quite a bit of water damage to the drywall. There was also water on the floor which we quickly cleaned up. The photo shows the air movers and dehumidifiers working to help dry the area and bring the air quality into acceptable ranges. Storm damage at this Taylorsville home involved a large tree branch being blown down on the roof of the house. 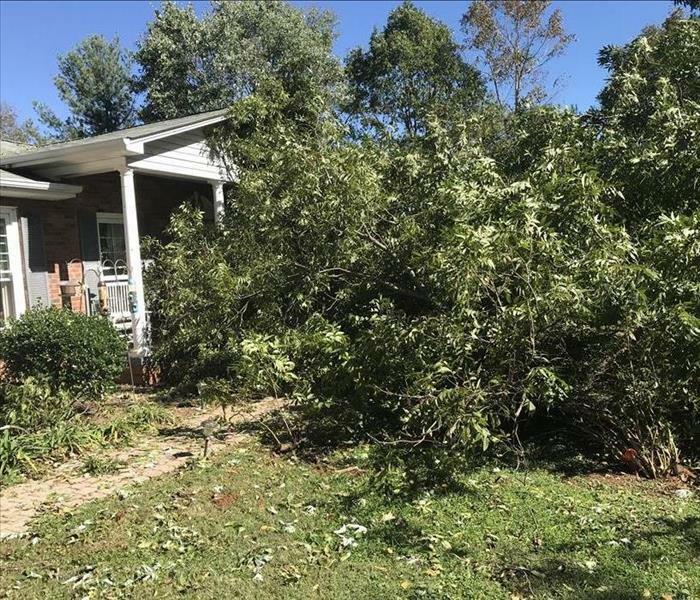 SERVPRO of Alexander and Caldwell Counties was chosen to remove the tree limb and provide tarps for the roof of the house. We also remediated the water damage and arranged for the roof to be repaired. The attic area of this home was highly infested with mold because of excess moisture. We contained this area with poly sheeting to seal any spores and mold from infiltrating down into the garage area during the mold remediation. Alexander and Caldwell are just two of the over 25 counties placed in jeopardy by the wildfires that are raging throughout our area. One subdivision reported that flames were within 20 feet of a home. Several arsonists have been arrested, but that doesn't protect your property. 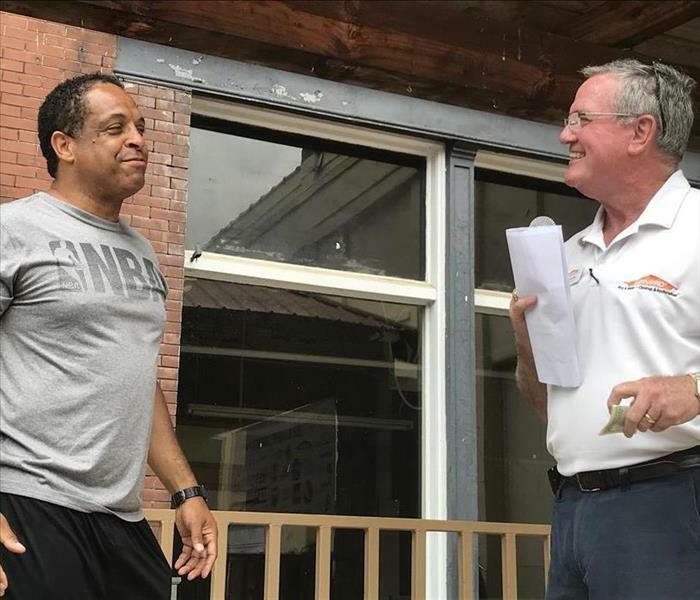 But, our area SERVPRO franchises are ready to assist you, if the need unfortunately arises, in putting your property back into pre-fire loss condition. 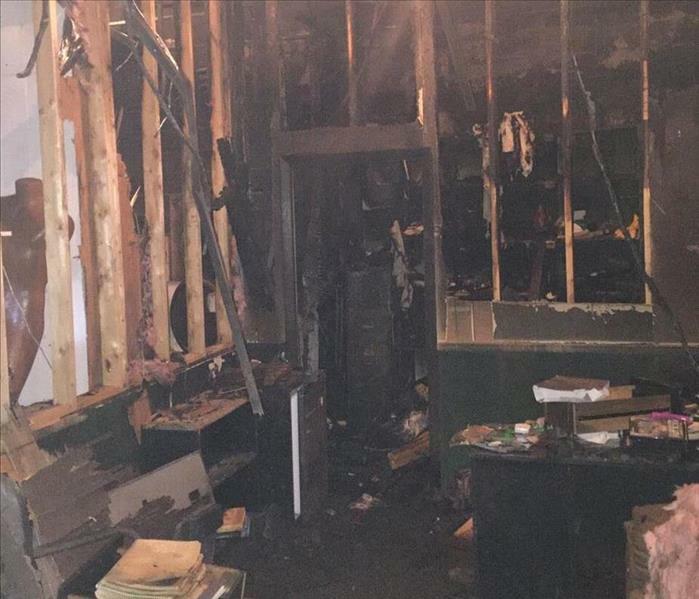 Fire damage at this Lenoir business began with an electrical fire in a clothes dryer used at the firm. The fire was contained, but the smoke, soot and odor damage were challenging. SERVPRO products and procedures including the use of air scrubbers saved the day and corrected the odor problem. If fire damage impacts your home or commercial facility, call SERVPRO of Alexander & Caldwell Counties at (828) 396-1070. We proudly offer 24-hour emergency service, and we are equipped to deal with any size disaster. The overhead sprinkler system went off and then stayed on, for almost one hour. The water wetted the carpeting but spared the walls and soft-tiled ceiling. Our SERVPRO technicians quickly vacuumed up the water, removed several sections of floor coving, and then placed our drying equipment to salvage the flooring. This real estate office and learning center were ready for business. 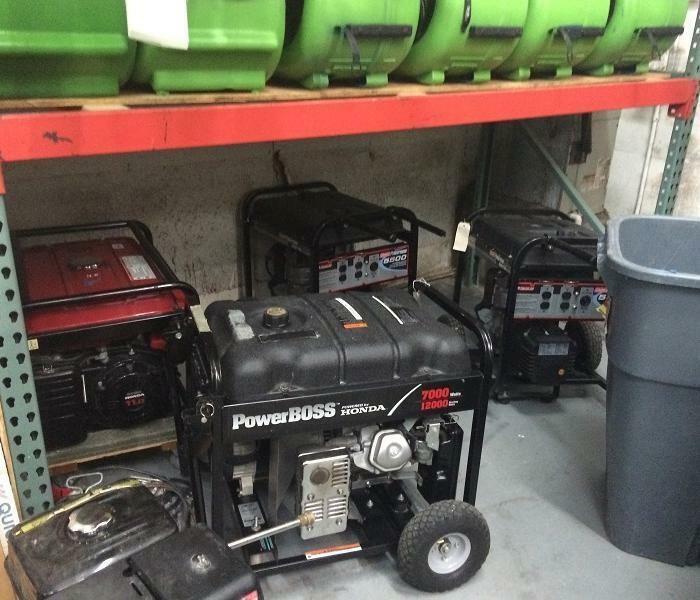 A storm damage site in Hudson required the use of portable generators to run water damage extraction equipment because power had been lost at our project site. Power outages are common when storm damage repair is required. SERVPRO has materials and procedures to handle each and every contingency. We have emergency crews on call to respond to your disaster 24-hours a day. So if storm damage strikes your home or business, call SERVPRO of Alexander & Caldwell Counties at (828) 396-1070. We will be at the ready if you need us. 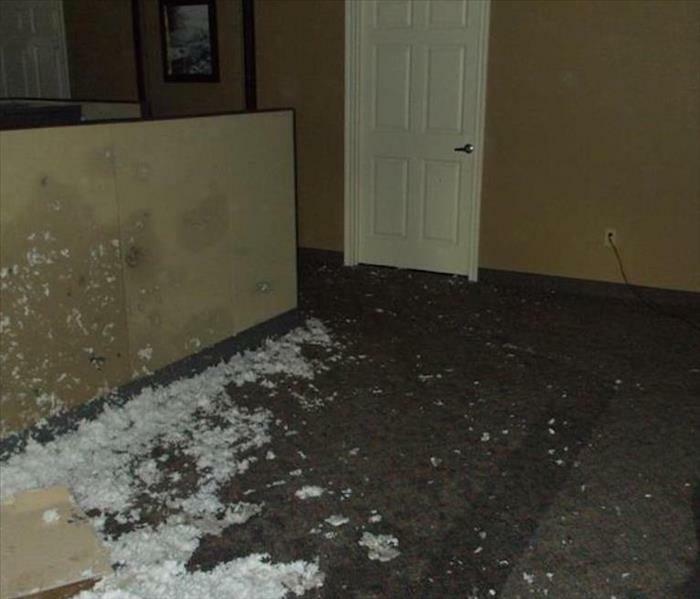 Water damage at this Morganton office was a result of a water pipe bursting in the ceiling. 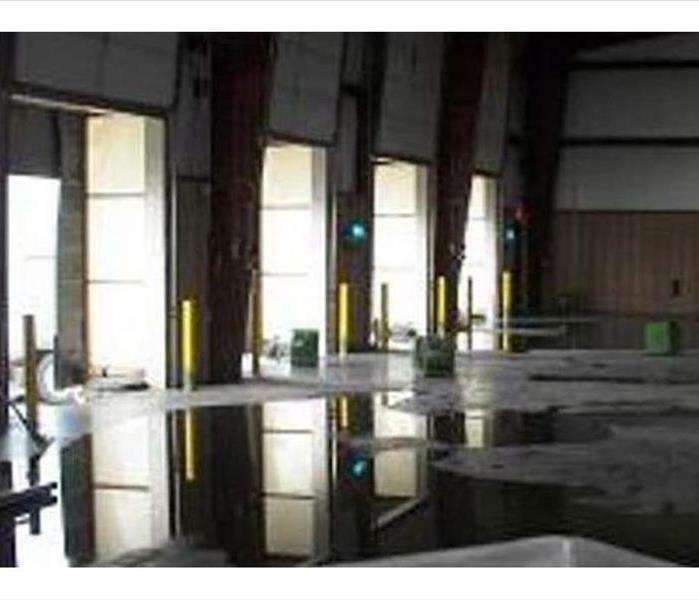 We provided water damage cleanup and removed the fallen ceiling tiles and insulation. The area was dried and dehumidified before replacing the insulation and ceiling tiles. The building manager and business owners were very complimentary about our technicians and their work. WE appreciate their comments. 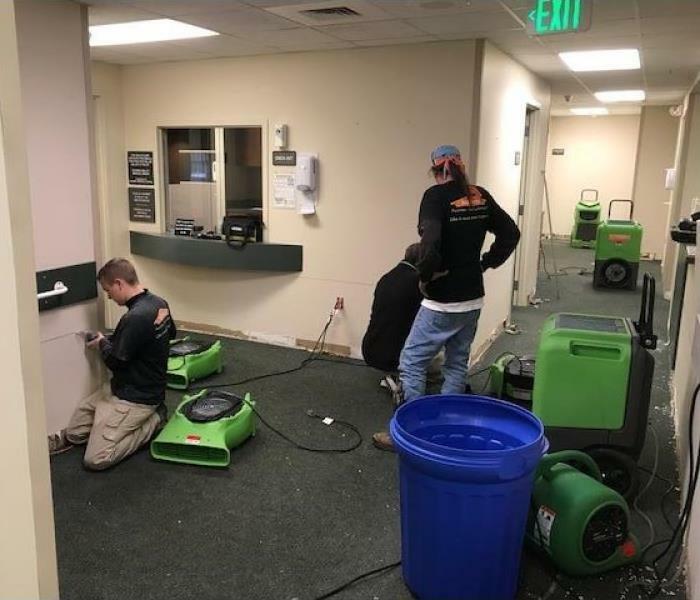 If water damage slows your fast paced business, call SERVPRO of Alexander & Caldwell Counties 24/7 at (828) 396-1070. We will work around-the-clock to get you back on the fast track. 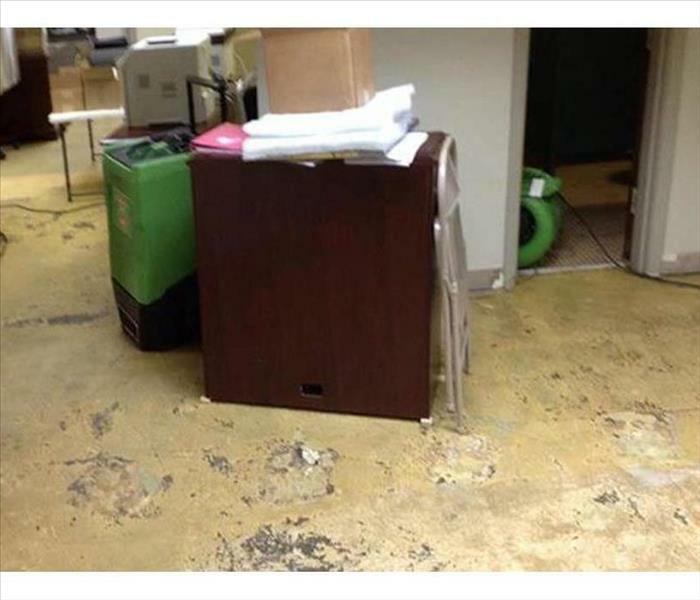 Flood damage at this Granite Falls office resulted from a plumbing failure in the restroom after business hours. When the staff arrived at work the following morning, they found the hallways and individual offices flooded. We were called immediately as the source of the water damage was unclear. SERVPRO technicians located the broken pipe and sealed it off for repair. 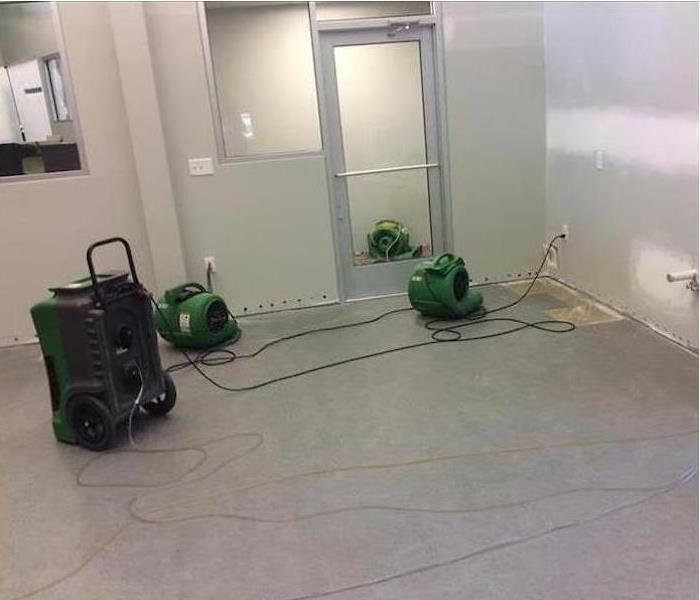 We rushed water removal equipment into the offices to clean up the flooding. We had the drying and dehumidifying equipment running before lunch. A skeleton staff of office workers were put back to work that same day as the drying process continued. A terrible problem had been met with an excellent solution. If flooding interrupts your normal business activity, call SERVPRO of Alexander & Caldwell Counties at (828) 396-1070. We provide 24-hour emergency service. Fire damage in Lenoir, NC leaves smoke odors in their wake. 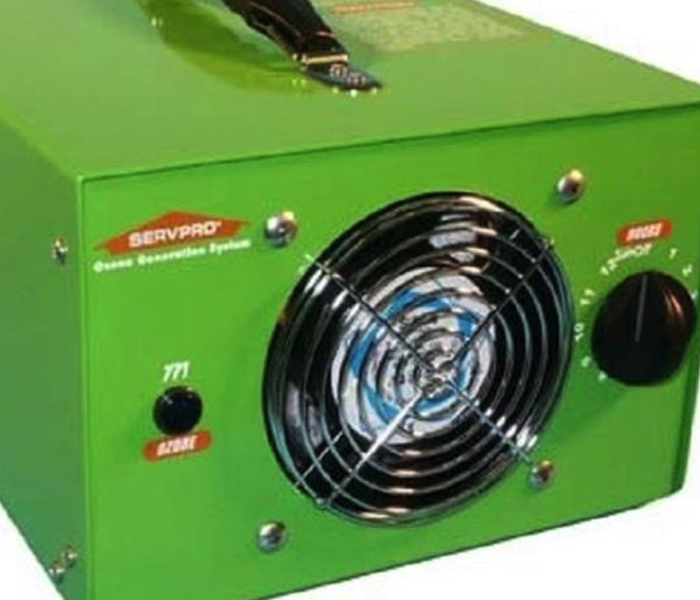 Ozone generators such as the one pictured here are used by SERVPRO to help clean up smoke damage. Ozone generation alters chemical properties of oxygen helping remove odors created from most sources. If fire damage occurs at your home or business and leaves odors behind, call the professionals of SERVPRO of Alexander & Caldwell Counties at (828) 396-1070. Mold damage at this Taylorsville home was discovered at the edges of the tile on the kitchen wall. 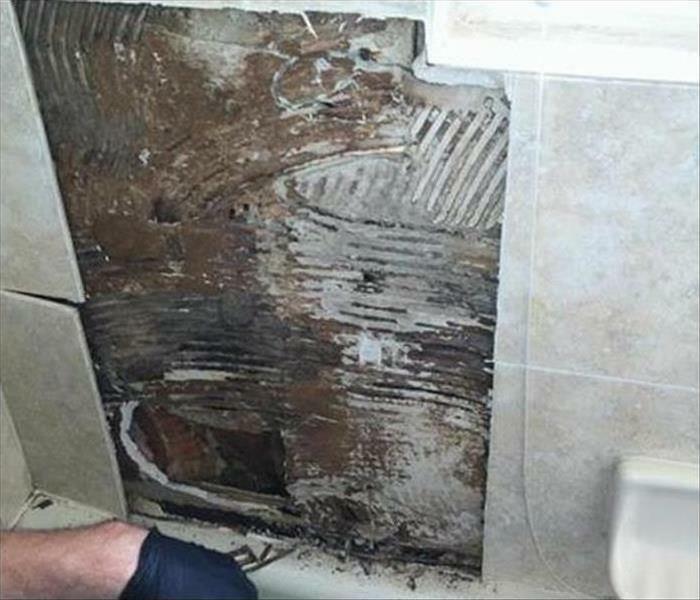 Advanced imaging equipment used by SERVPRO revealed that the mold growth covered most of the wall behind the tile. The affected wall covering was removed, and the harmful fungal growth was cleaned. We treated the affected area with an antimicrobial and sealed the surface to inhibit future outbreaks of household mold. 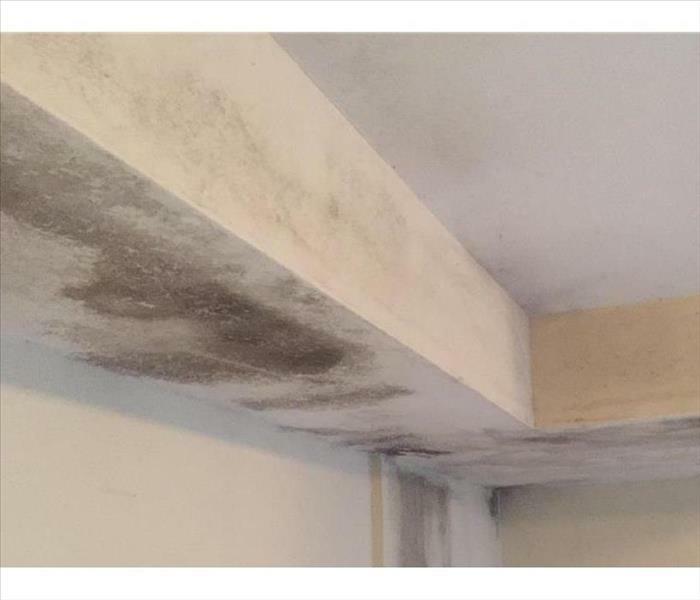 If there is any hint of mold damage at your house or place of business, call SERVPRO of Alexander & Caldwell Counties 24/7 at (828) 396-1070.